The rewards of being an SSI Open Water Instructor are as great as its responsibilities. If you have the calling, The Sonoma Coast Divers will conduct the SSI Instructor Course and Evaluation at your convenience, the schedule is as flexible as yours! Candidates must be SSI Dive-Cons, Divemasters, or equivalent Assistant Instructors from recognized organizations. They must be current in CPR, First Aid, Oxygen Administration and have had a recent medical exam by the completion of the course. Candidates must demostrate instructor-quality skills in watermanship evaluations, convey information well, and show a passion for teaching others to dive. 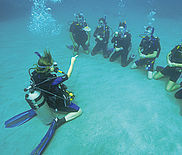 Divers who want to get discounts on gear by becoming an instructor do not make it through our program. The course will typically meet on three weekends (If course attendance is 4 candidates or less it may be possible to complete the work in less time). The approximate schedule for most days will be from 9:00am to 4:00pm. There is a lot of flexibilities for these classes and weekday schedules are available. The SSI Instructor Course utilizes the same approach and principles as all SSI courses. There is extensive home study to prepare the candidates for each chapter. Candidates must have purchased and compeleted the SSI Instructor Package prior to the beginning of class and arrive prepared with that day’s work. The SSI Instructor Course and Evaluation are $1000. This does not include SSI registration and dues. The SSI Instructor Teaching Package and coursework is additional. 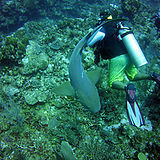 If you find yourself with the desire and passion to share your love of diving with others, then give us a call!